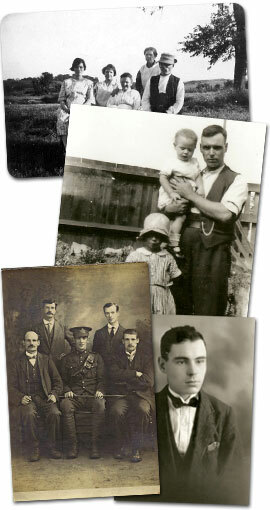 My name is Martin James and I have been researching family history for over 30 years. Having always had a fascination for history I embarked on the journey of discovering where my ancestors came from. This I have been able to do, with a family tree that spans the period from late 1500’s to the present day, from the UK to USA, India, Australia and New Zealand and a number of points in between. I have been in contact with long lost relatives and those I never knew existed, also found a few skeletons in the cupboard, something one has to be prepared for when embarking on tracking down one’s ancestors. Friends saw the results of my efforts and asked me to assist them in their own family research and I am happy to say that I have helped a number of people on their journey to track down their origins. I was able to take early retirement and leave the world of IT and Project Management behind and decided to utilise my research skills and turn them into a business venture. So I started Family Heritage Search which I run from my home in Shropshire which I use as a base for accessing the wider Midlands area. I specialise in Family History research in the historical counties of Shropshire & Staffordshire and the wider West Midlands and I have access to a number of Archives and Record Offices in these areas which I use for research. In the past 7+ years I have undertaken research for a large number of clients covering places such as Cheshire, Shropshire, Staffordshire, West Midlands, South West England, Wales, California and India. I am also a member of the Society of Genealogists and the Federation of Small Businesses. I also have a keen interest in local and social history and spend some of my time as a volunteer at the Ironbridge Gorge Museum Trust in the Archaeological department. During 2018 I volunteered for English Heritage at the Ironbridge during its conservation programme. So why not contact me and let me help you discover whether your family tale of being related to nobility is true or whether in fact you come from a more humbler background like my ancestors, many of whom were agricultural labourers, brewery workers, miners or labourers in factories, with the odd transportation to Australia, illegitimate birth or emigrant thrown in. Once you embark on this journey of discovery into the past of your ancestors you will not want to stop.